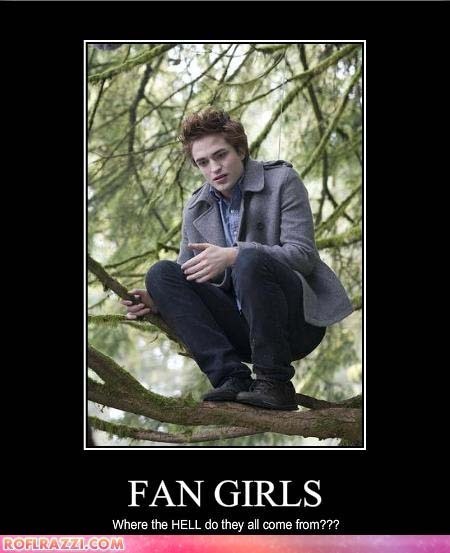 Twi-hards scaring Rob...that's sad.. . Wallpaper and background images in the Critical Analysis of Twilight club tagged: twilight critical analysis funny anti edward cullen cat. This Critical Analysis of Twilight photo might contain ব্যবসা উপযোগী, বীচবৃক্ষসংক্রান্ত, and বীচবৃক্ষসংক্রান্ত গাছ. I know, I have a few friends that have that same coat. I've had to warn them to...lol. Tsk-tsk... Must warn my friends! They have that coat. I know I would if I were you. Kris: Those aren`t zombies, they`re your fangirls!